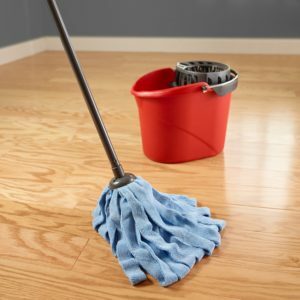 If you’re looking for the best mop for hardwood floors then we have our top six mops reviewed here. There’s nothing fancy about these mops or how they work, and that’s exactly what many users like about them. To use, you wet the mop in a pail of water and cleaner (optional), wring it out and go to work. Traditional mop pros: The best wet mops are familiar, easy to use and get the job done. Learning to control the amount of water left in the mop head takes just one or two uses. There is no gadgetry, so they aren’t prone to breaking or malfunctioning. Traditional mops offer you options of the classic cotton mop head, yarn or today’s newer fiber heads. Traditional mop cons: A plus for some is a negative for others – there’s nothing fancy about these mops. They work reasonably well on all floor types, but given the shape of the head, make it difficult to get into corners without wetting several inches of wall surface too. More moisture is likely to stay in these mops than in the better spin mops. That’s not the issue on tile it would be on hardwood or laminate, but if you want your floors to dry quickly, this might not be your tool of choice. Good for use on tile because: Moisture control, works well dry when dusting is all that is needed. These are systems that include a mop handle, replaceable mop head and a bucket. The “spin” refers to the centrifugal wringer that is part of the bucket. It rotates at high speed to spin water out of the head. Depending on the system, the spinner is activated with a hand lever or foot pedal. 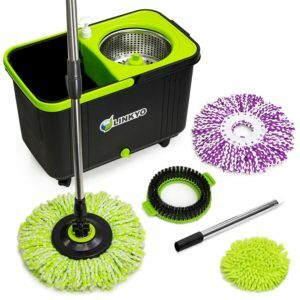 Spin mop pros: As complete systems, they come with everything needed to get to work. Most are easy to use, and the result is a mop head left as wet or dry as you want it once you get familiar with controlling the time and speed of the spin. 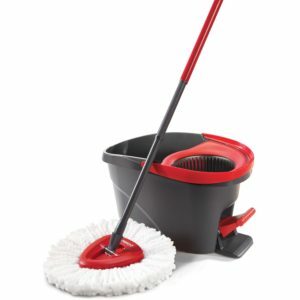 Many spin system mops have triangular-shaped heads that are better for getting into corners than traditional mop heads. Spin mop cons: The only serious drawback of spin systems is that more moving parts vs. a traditional wringer means more can go wrong. The spin mechanisms vary in quality and functionality too. If you already have a mop bucket with a wringer, you might not want to spend the higher amount to get a complete mop system. Steam mops include a water reservoir, internal heater and pad for picking up dirt, debris and hair. The vast majority of them include a power cord rather than rechargeable battery. 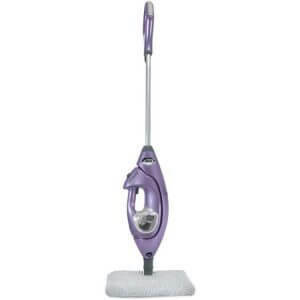 Steam mop pros: A steam mop is a great solution for those who want sanitizing clean without the use of chemicals. Pads give you the ability to scrub dried stains after moistening them with steam. Most include machine-washable pads. 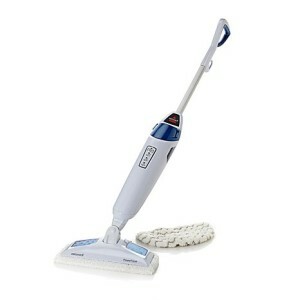 Steam mop cons: They cost two to six times what other mop types cost. The internal heater on some models is susceptible to failure, though it is the only reason to choose a steam mop. They’re heavier than non-powered mops, and the power cord may get in the way and must be relocated as you move from room to room. Don’t expect a steam mop to remove tough grout stains. Two names lead the field: Bissell has a long-standing history of making quality products while Shark is a relative newcomer that gets rave reviews for quality and performance. 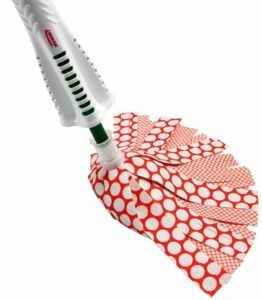 Looking for more steam mop reviews? Check out the Best Steam Mop for your home. Scrub mops are scrub brushes on a handle. Tough bristles or a pad combine with your efforts to do the work. 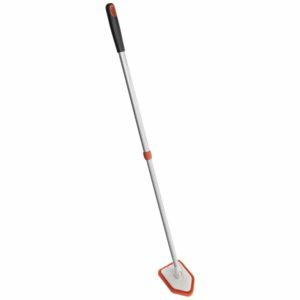 Scrub mop pros: Most have swivel heads to reach out-of-the-way places. Handles are typically strong and durable unless excessive force is applied. When “elbow grease” is the only way to get rid of hardened dirt and stains, a scrub mop is the best mop for the job. 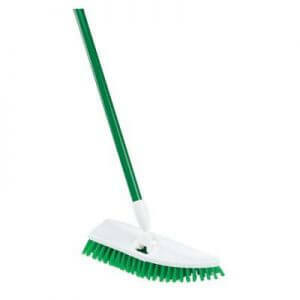 Scrub mop cons: A swiveling head can be annoying when you want to work the mop in a single, firm direction. Handles can bend or snap with extreme force, and they’re typically shorter than standard mop handles for this reason. Chemical sanitization is required, as it is with all mops other than steam mops. 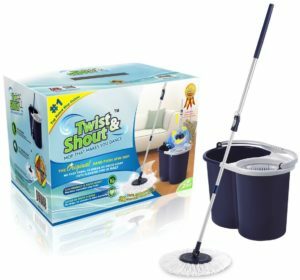 Here are the two best scrub mops and what they offer. Which of these do you consider the best floor mop? Is there another mop you like better? Let us know in the comments below. It’s just too hard to choose. Each one has such good points. I guess I would go with the Shark steam pocket mop. Looking for a mop to get in to the recessed “designs” in my tile. None of these really address this issue. I have a large tile area in Kitchen, Hall, Half Bath and large utility room. Have been dealing with challenge of cleaning grout off and on. Like Fidazzle but it is pricey. Found solution for grout and what turned out to be, accumulated dirt on tiles. ¼ bup OXY CLean ( the real stuff as knock off didn’t work) in a gallon of water. U mixed up a smaller quantity in a squirt bottle from the dollar store. Ran a line of it on the grout, brief abrasion with a scrub brush, wait an hour and mop off.